BBC Scotland has attracted no shortage of criticism over the years for its political bias, the inanity of its output and most alarming, given its role as the national broadcaster, its failure as the country’s national broadcaster. Surely the purpose of any national broadcast organisation is to provide news and other information, entertainment and be a medium for political debate? How far BBC Scotland fulfills any of these roles is open to question. There is a strand of opinion which cannot accept any criticism of the BBC. Look at what other countries offer before you pass judgment on Aunty. No – let’s raise the level of expectation not lower it. There are those who are genuinely content with BBC Scotland’s output. Don’t get it myself but fair enough. There are others, me included, who have long abandoned its television output and rarely listen to its radio programmes anymore – put off by it increasing remoteness, centralisation, banality and overt political bias. The nation’s broadcaster is at best tokenistic in its coverage of events. Certainly this was true the last time I bothered to switch on Reporting Scotland on television. I will admit BBC television generally is pretty well a no-go area for me. I am aware BBC Scotland runs a soap called River City which I have never watched but imagine it is set around a river somewhere in Scotland – quite possibly not a million miles away from Glasgow. My main concerns centre on BBC Scotland’s radio output. I understand times are hard and getting harder and I understand the pressure on BBC Scotland’s management to get something on the air but I cannot accept the lack of quality in its output from its plush headquarters on the Clyde. The £88 million spent on centralising BBC Scotland at Pacific Quay in Glasgow is a direct cause of the narrow localism which has infected its output and its failure as an effective mouthpiece for the nation. Instead of spending this outrageous sum of taxpayers’ money on one building any cash available should have been fairly distributed around the country – upgrading the BBC’s smaller stations. Instead we are facing further cuts in personnel around Scotland and the closure of existing stations which will further reduce BBC Scotland’s diversity and representation from around our regions. What has happened with Pacific Quay in Glasgow goes against the trend in England where its much criticised concentration of broadcasting from London led to a change in direction and the improvement of facilities and number of programmes being produced away from its HQ. The persistent trend in Scotland to trim back already skeleton staffs outwith Glasgow exhibits the ineptitude of BBC Scotland’s managers and their cynical disregard for adhering to the BBC Charter. Lose regional diversity and you are left with a national service in name but not practice. You have what we have now – in effect a local broadcaster posturing as a national one. Take any of Radio Scotland’s news and current affairs programmes to see how this works. Stories are regularly scranned from the local Glasgow press and given the BBC treatment. ‘Experts’ are called in from its local universities, businesses and even off the street. Presenters invite in pals – the crony phenomenon of not what you know but who you know – to add comment. Time and again we hear the same voices, opinions which don’t vary very much and represent the view of events from a Central Belt perspective. If you think there’s no such thing try imagining broadening out this cosy wee band of commentators to include, say some from Harris or Shetland or Ross-shire and see how much variety of analysis there could be. You know what they say about journalists – they are lazy. Everyone says so and so perhaps there is truth in it. If there are people available to call in from a few square miles around the studio then why bother going further afield? 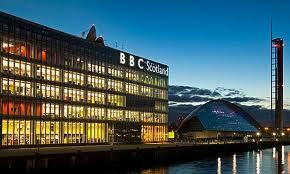 If BBC Scotland HQ had been built on the Ness instead of the Clyde wouldn’t Highland journalists do the same? Yes, I expect they would and wouldn’t people in the Central Belt howl their disapproval and quite right too. Business Scotland can be interesting to listen to but recently it introduced a feature following five entrepreneurs to see how they fare in the current economic climate. Is this the BBC’s idea of a good broad approach to covering the plight of Scottish businesses in this economic climate? The attitude within BBC management appears to be to an immediate and knee jerk defence of its staff against criticism. Of course it is positive for any organisation to support its personnel but it can also lend itself to a bunker mentality defending the indefensible. There are those who believe that the greater the influence of radio and TV in our lives the more ignorant we become politically. We hear and see what they feed us. To paraphrase Raymond Chandler – what is in there is in there. News coverage is centred on the Clyde. Take Good Morning Scotland. It’s a theme I’ve blogged about previously and was honest enough to remove the original Dumb and Dumber blog when GMS made positive changes. However – well, what can I say? Hands up from me, I rarely listen to this anymore preferring Radio 4’s Today programme despite it being dominated by English stories for it is professional and it does handle many more international stories fairly well. GMS is not strong on international coverage. Let’s face it – it isn’t strong on much. International content, if I recall correctly, is frequently relegated to the 6am-7am spot leaving the 7am–8.50am period for events closer to home – much closer to home – if you get my meaning. Good Morning Scotland is bitty. A bitty this, a bitty that. It never gets going. Its news, discussions and interviews are curtailed because everything stops for sport, weather and travel. These three take on huge importance on BBC Radio Scotland. Their content rarely changes significantly but up they pop with irritating regularity, presumably regarded by BBC management as providing a vital service for listeners. They don’t. Instead they disrupt the flow of news and discussion. How often do we need to hear weather reports? No doubt management will say people drop in and out of listening but if the weather was on once before the hour then people would know when to listen to catch it. Sport too often comes down to fitba. And the least said about Scottish fitba the better. There are acres of space devoted to football on BBC Scotland we do not need it rammed down our throats throughout news programmes. Travel reports have become something of an institution on Radio Scotland. Frankly I fail to understand why. They epitomise tokenism on the BBC. They must. Some time ago I had a little confrontation with Travel and Transport Scotland, the Scottish government quango, about BBC Travel. On enquiring why delays and closures on the many roads outside of the Central Belt failed to be reported I was told BBC Travel used information from Transport Scotland and Transport Scotland only covered trunk roads. So I asked if BBC Travel personnel were paid by Transport Scotland or the BBC? There was no response but from then on BBC Travel began to include non-trunk roads. But, but – travel remains a peculiar phenomenon – traffic lights rarely fail outside of the Big G and there are still big gaps in its reporting of problems around the country. Why have these frequent interruptions to news and current affairs programmes so listeners can hear that some road close to BBC Scotland HQ is ‘busy’? In my experience roads tend to become busy most weekdays between 7am and 9am all around the country – so much so that I wonder if this is in fact normal and not anything worth broadcasting once far less repeatedly. In my naivety I used to think these BBC Travel Scotland staffers phoned around Scotland’s local authorities to ascertain local travel issues but it appears not and that they watch a bank of cameras positioned on a few, very few roads and otherwise depend on listeners phoning in. Surely at any one time the number of people listening to Radio Scotland who hear a travel bulletin and alter their routes must be pretty miniscule so why is this stuff broadcast four times an hour? Five if you live in an opt-out area. Opt-out areas. What does that suggest to you? In northeast Scotland there are op-out news bulletins which include sport and travel, oh and weather summaries. The BBC supplies these because we are not within the default area – Glasgow. If BBC Radio Scotland really was inclusive all areas would have opt-out summaries – or none. Most of Scotland is unrepresented by our national broadcast medium and incidentally this includes the capital which many may not know, is Edinburgh. Edinburgh gets short shrift from BBC Glasgow. And if Edinburgh is treated to the big silence then what hope is there for the rest of us? The once excellent Newsweek Scotland is now part of GMS. NWS was not perfect – relying too heavily on its G spot but Bateman was/is the consummate professional journalist of which there are embarrassingly few working within BBC Scotland. He is on top of his brief, usually, and is highly capable of discussion and drawing interviewees. There is no subtlety with the weekday crew of GMS or Newsdrive. Isabel Fraser is equally strong in a different way but I never thought these two would be the only presenters on NWS and that has proved correct. By integrating NWS with GMS it has diluted the formula. We also have all those little irritations which interfere with the flow of GMS. Two hours is too long for this type of programme and while the old NWS was very good at an hour long, the two hour programme doesn’t work as well – the serious content cannot be or is not maintained, there are lighter moments which don’t gell with the rest of the content. Bateman’s new Sunday morning programme, Headlines might become acceptable if it drops the title and widens its scope – i.e becomes NWS on a Sunday. It is far superior to the Nanjiani show it replaced – tedium personified – with the same dull as ditchwater guests – but, hey, moving it to Saturday mornings is very welcome as I am not around to hear it. News and current affairs is patchy to poor on Radio Scotland and is simply not good enough. If BBC Scotland management regard it as acceptable then they should do us a favour and find work more in keeping with their sadly wanting abilities. 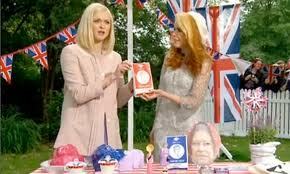 We could certainly do with resurrecting Lesley Riddoch’s lunchtime current affairs programme which maintained a very high standard of debate and was entertaining at the same time. We now have the John Beattie show but it is frippery, watered down journalese. How long will we have to endure the ‘How’re you?’ /Les Grey/Call Kaye show? 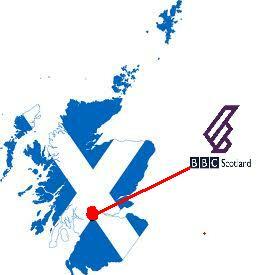 Now that really is a no-go area which sums up so much that is wrong with this BBC in Scotland. And the truly awful MacAulay and Co. MacAulay is a talented comedian – on the News Show (R4) but his BBC Radio Scotland programme has festered away far too long. It is trite and unerringly dreadful. We are living through a vital period of Scottish history and in the next two years it is crucial that we have a broadcasting service capable of representing its listeners and viewers – and licence payers. We need a professional and competent medium to enable the exchange of opinions, to represent Scotland in all its guises, not the introverted wee parochial service currently being provided which has no interest in or understanding of life outside of the Clyde and which drives forward its own political agenda. Can’t comment on the radio so much as I’ve only recently started listening to GMS on the way to work. However, your point about weather reports hit upon something I noticed the other day on TV. We get the UK news (most of which is taken up by the English equivalents of devolved issues, but that’s another argument) then we get our little Scottish bulletin, followed by the Scottish weather. That’s followed by… the UK weather! I can understand the reasoning for having a more specialised weather report after the UK one, but if I’ve just seen what the weather is like in Scotland, why do I need to see someone in London giving a less specific version? Bizarre. Quite simply the BBC is too centralised. As soon as devolution took place, they should have recognised that much of their usual news output would stop being relevant to Scots and Welsh and changed accordingly. But they didn’t, and now we have the dog’s breakfast currently served up to us. Thanks for the comment Doug. The BBC certainly isn’t sure what is about nowadays. The Scotland/UK thing is another of its issues which will not be resolved until we get independence. I suspect a ‘no vote’ in 2014 will be regarded by the Beeb as the green light to carry on as it is doing – setting its own agenda.